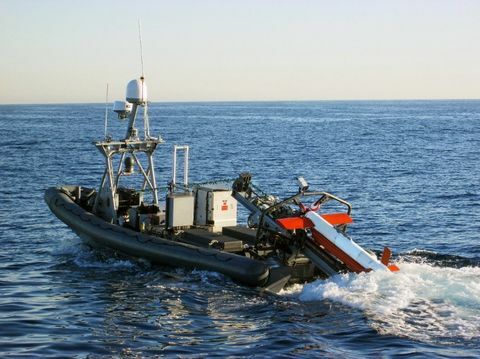 POINT MUGU, Calif., Dec. 1, 2015 -- The U.S. Navy and Northrop Grumman Corporation (NYSE:NOC) completed a successful land-based operational assessment (OA) with the unmanned, autonomous helicopter MQ-8C Fire Scout, at Naval Base Ventura County, Point Mugu, Nov. 20. 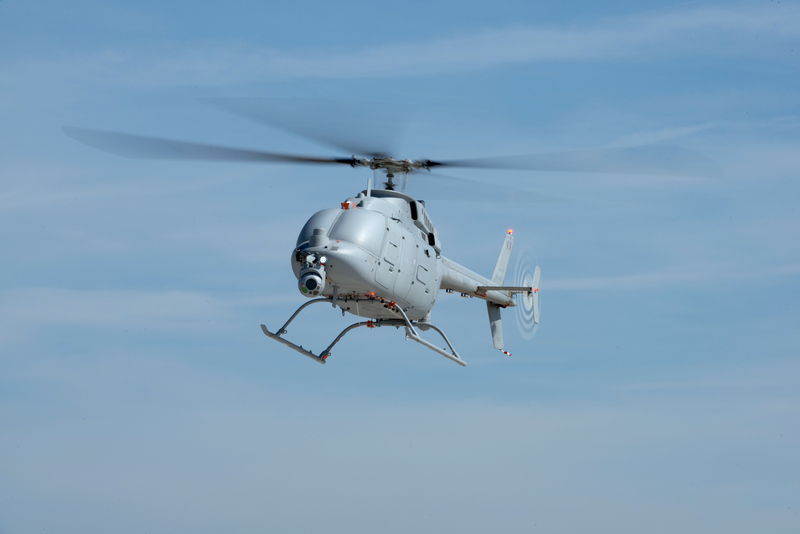 The OA demonstrated the endurance and sensor integration capabilities on the new MQ-8C airframe. The Fire Scout collected real time data points during OA flights to validate system performance parameters and assess risk to future operational testing. The Navy's Air Test and Evaluation Squadron VX-1 performed all of the flights over three weeks culminating in 83.4 hours of flight and 72 data points. 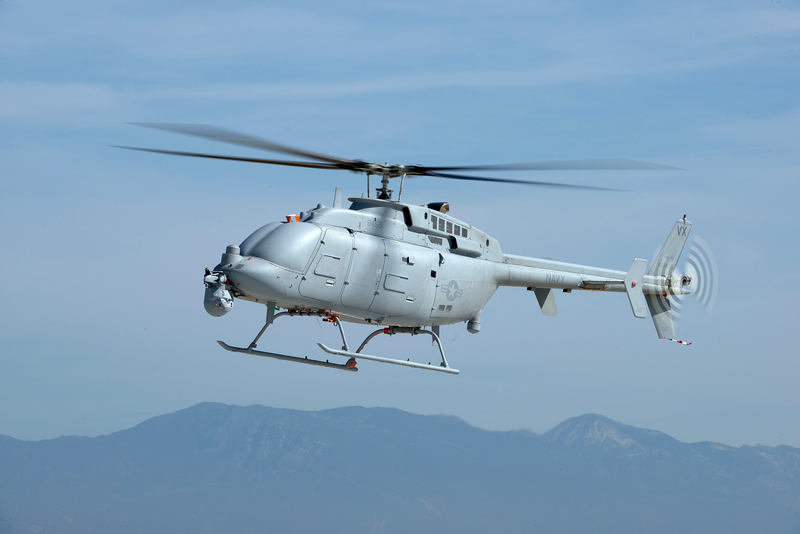 "MQ-8C represents a significant capability improvement to the Fleet," said Capt. Jeff Dodge, program manager, Fire Scout, Naval Air Systems Command. "Testing has shown the system is meeting or exceeding our goals and the completion of this test event represents a major step on the road to Fleet introduction." Northrop Grumman engineers' hard work in developing the MQ-8C ensured that all aircraft systems successfully met VX-1 flight requirements. MQ-8C sensors and systems were vigorously tested at different altitudes and ranges to validate operational effectiveness. Successful integration of an improved ice detector system was also validated during OA with an alert to the test team of icing during a flight. This system allowed for necessary altitude corrections by descending the helicopter until the indication cleared so that the mission could resume its target detection runs. 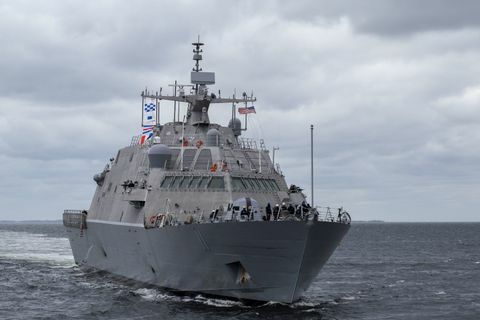 "The completion of land-based OA is once again validation of the incredible performance the Fire Scout system is capable of," said Leslie Smith, Fire Scout program director, Northrop Grumman. 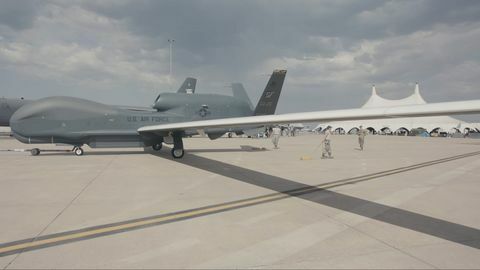 "As demonstrated in the test, Fire Scout's multi-INT capability and endurance, coupled with outstanding reliability are changing the way intelligence, surveillance and reconnaissance systems are measured; we have significantly raised the bar." 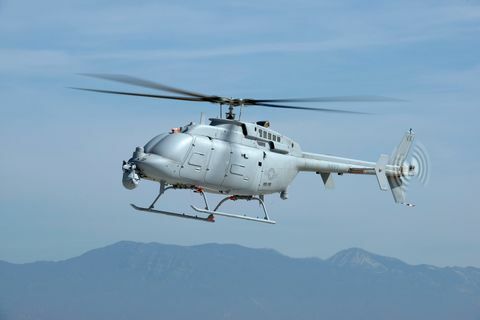 MQ-8C Fire Scout completed the developmental flight tests program earlier this year and now the program will prepare for milestone "C" next year. The MQ-8C Fire Scout has accumulated over 730 flight hours and flown 353 sorties.